Raise your hand if you’re old enough to remember the first McDonald’s that opened in Italy in 1986…that would be nearly thirty years ago in Rome on the Piazza di Spagna. Up until then Italians teenagers could only dream about this fast food that the rest of the world was enjoying. But the adults had a different idea. Romans protested. Loudly. They cooked pasta in front of the store to show what Italy was really all about. The designer Valentino was ready to bring legal action. He claimed the smell of frying food was wafting up into his atelier and ruining his beautiful designer gowns. On opening day, Italian teenagers stormed the place. 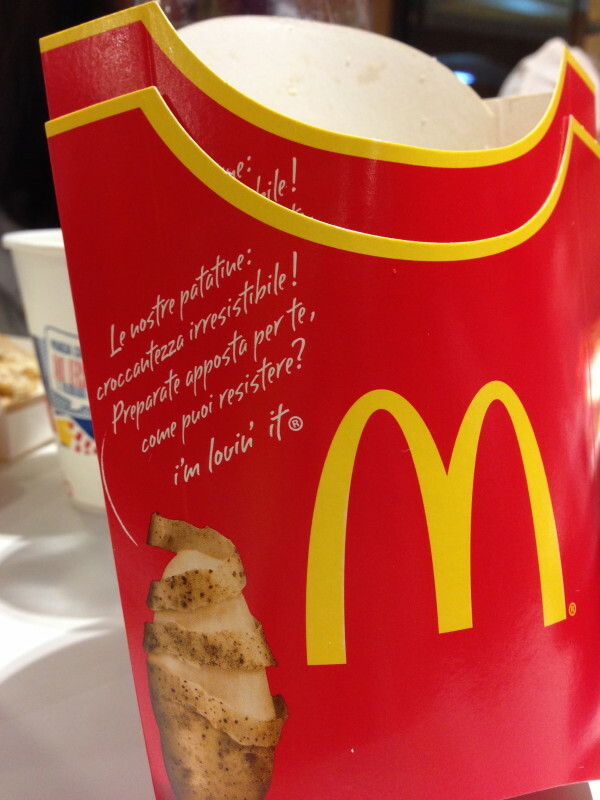 Thus began the almost comical first steps of McDonalds in Italy. 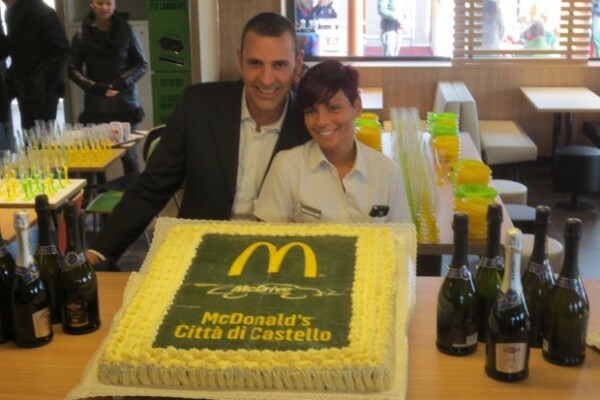 The picture below is of the festive grand opening of the Citta di Castello McDonald’s. More subdued. Nobody stormed the ramparts. No one threatened, to my knowledge, the jump into the Tiber–which is nearby. Let’s face it. A hamburger isn’t worth it. 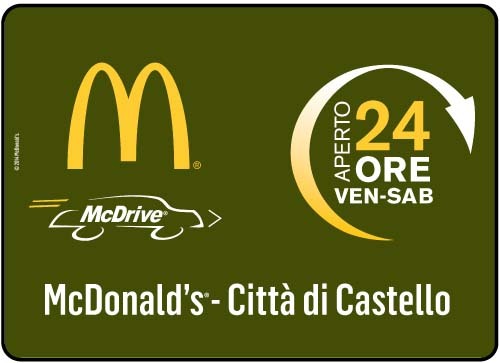 So eastern Tuscany and northern Umbria joined the so-called modern world when these tiny little golden arches appeared. Oh, and a bunch of local people got new jobs. A civilized, congenial opening. 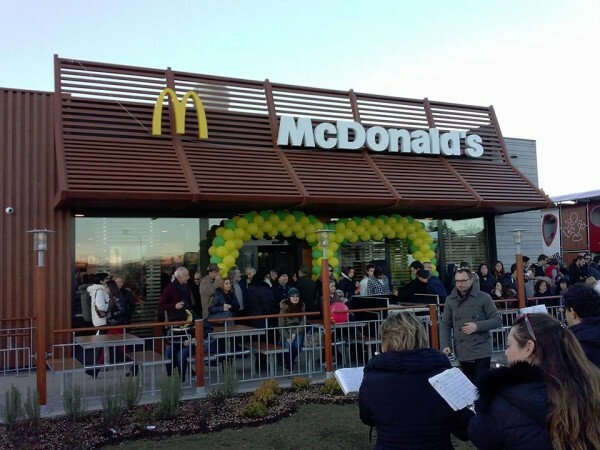 I’d go to any McDonald’s opening that serves cake and champagne. Italians are definitely giving this McDonald’s a try, but giving it mixed reviews on TripAdvisor. Mostly the complainers. Then again, who would get on TripAdvisor to praise a local McDonald’s. We’ll go again. 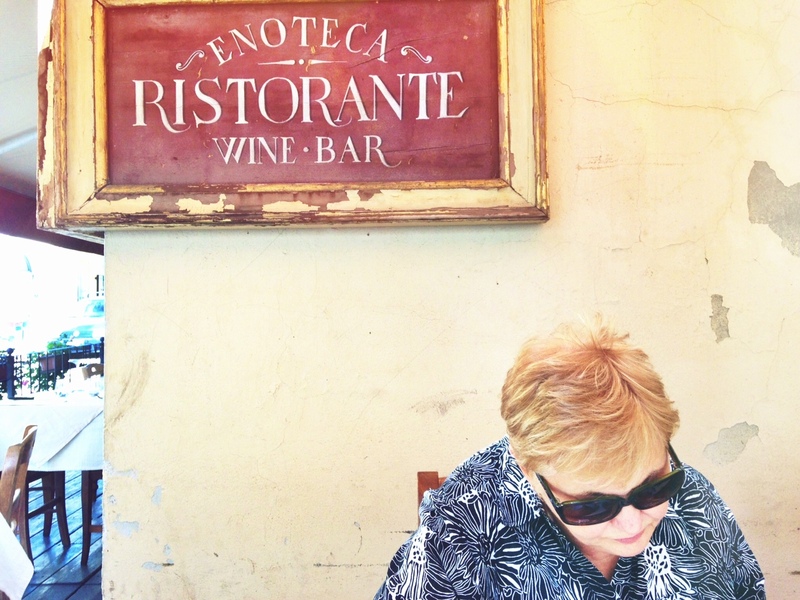 It comes in handy when we’ve had a big 3-course Italian lunch and really only want a quick bite. I mean…time marches on. And we will take fries with that.